Torque plate seems like seems like a gimmick to me. Such a simple parts for a ton of money. Wish I would have thought of it! icehouse wrote: Torque plate seems like seems like a gimmick to me. Such a simple parts for a ton of money. Wish I would have thought of it! Yeah for a chunk of aluminum with some holes machined into it the prices are pretty crazy. 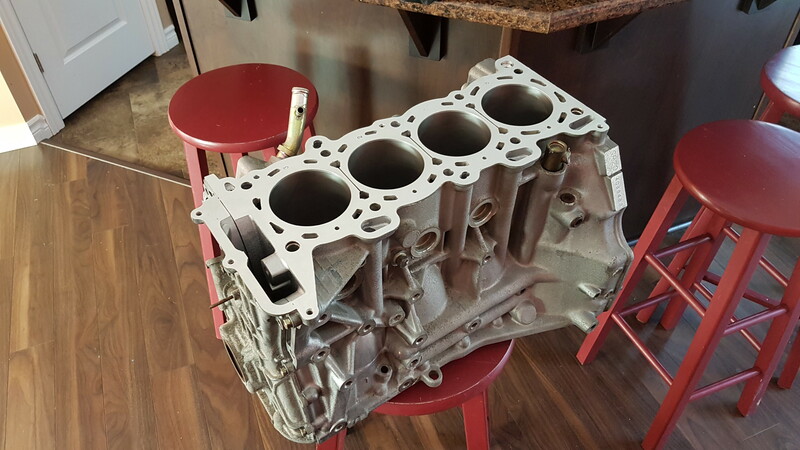 The SR guys swear by them though, say there's some pretty substantial cylinder distortion when something (be that a head or torque plate) is bolted to the block. Andy at Specialty uses a torque plate for all our engines. It's mimicking the head bolt distortion, upon boring, keeps those cylinders nice and round and hence good piston ring seal. bertvorgon wrote: Andy at Specialty uses a torque plate for all our engines. It's mimicking the head bolt distortion, upon boring, keeps those cylinders nice and round and hence good piston ring seal. Does he put a used headgasket in between the block and torque plate? If you want to recreate the same forces that the head applies it seems like you would have to. Picked up the engine from the shop! Went with a small .5mm overbore since the engine only had 60,000km. Cleaned up fairly well, they didn't mention how much they took off when the decked the engine/front cover but it looks like a fair amount, piston to valve clearance is going to be interesting with these 11:1 pistons and big cam i'm looking at, might have to fly cut the pistons but we'll cross that bridge when we get there. Canadian 510, I cant see your pictures/images. Ok I see them now. Don't forget about your upper and lower unibody channels. Being out of sight, they typically are out of mind then they rust. 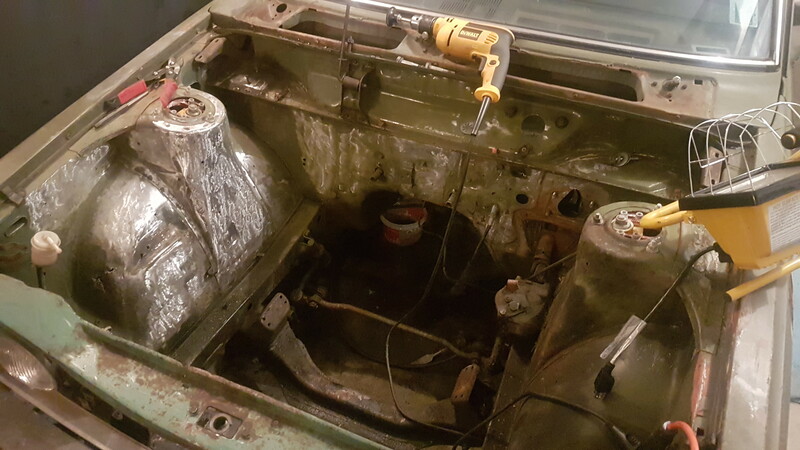 I did all mine including inside the front and rear crossmembers, rear swing arms, from lower control arms when I was using them and all rocker panels and rear lower 1/4 panels plus a few other areas. Definitely giving them a going over too. Did the whole rear about a year ago so it's time for the front to get some love while it's easy to get at.